Here we are halfway through the first cut. It is critical for good quality beams to have the guide square and plane. Try to avoid bows and twists in the guide unless they are part of a conscious design feature. 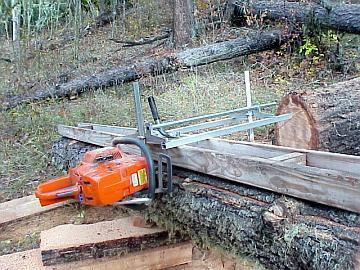 If you support the slab to prevent it from resting on the saw bar you will gain some efficiency.